Dewy Skin With Becca. | By Millie. Becca Backlight Priming Filter: I probably should have written this in order of application, putting this one first, but I got too excited okay...Primers aren't something I dabble in that much, unless it has glow inducing properties, then I'm all over that shiz. I had heard so much about this product and it sounded like something I would really enjoy, and I wasn't wrong. 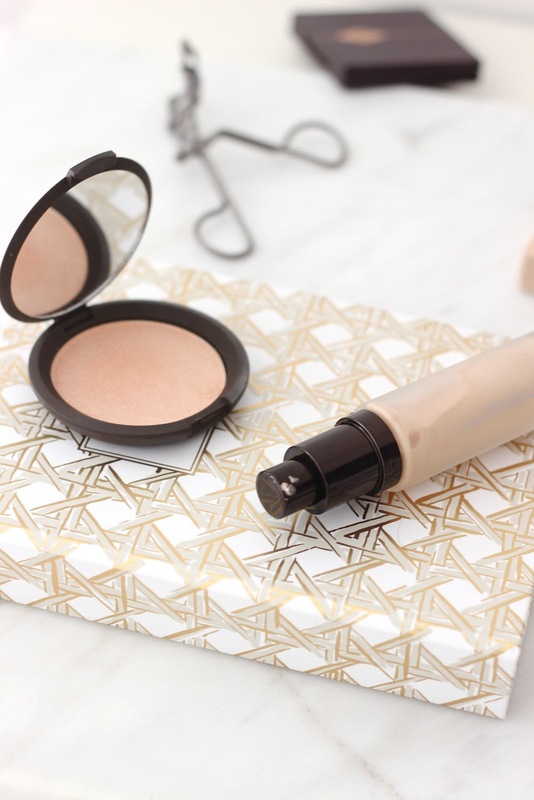 This gives off the most beautiful golden glow when applied to the skin, and you can either wear it underneath foundation, or mix it in, both looks amazing. This isn't one of those primers which is going to makeup your makeup last for all eternity, it purely focuses of creating a dewy complexion and blurring the skins imperfections.